1. "RE: 6mm creedmoor once fired brass..."
2. "RE: 6mm creedmoor once fired brass..."
3. "RE: 6mm creedmoor once fired brass..."
That's a Bargain Right there! 4. 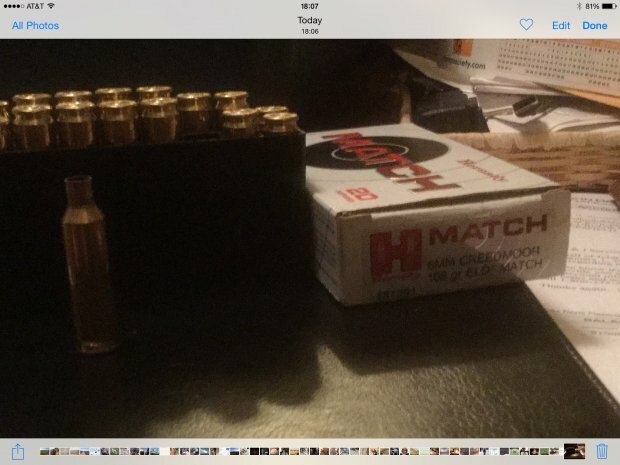 "RE: 6mm creedmoor once fired brass..."
20 cases= 200 boxes of 20, or 4,000 empty brass? 5. "RE: 6mm creedmoor once fired brass..."
6. "RE: 6mm creedmoor once fired brass..."
7. "RE: 6mm creedmoor once fired brass..."
Eel Didn't Get the Same Treatment I Got & Posted the Same Reply!